Johnson & Johnson is one of the leading healthcare companies in the world, with over one billion people using its products daily. The company has a well-diversified global footprint with the US accounting for 50% of the company’s revenues, and international markets, such as Europe, Asia-Pacific, Africa and western hemisphere (ex-US), constituting the remaining 50%. Johnson & Johnson is organized into three business segments – Pharmaceutical accounting for 61% of 2018 income, (immunology, cardiovascular & metabolic disease, infectious diseases & vaccines, neuroscience, oncology), Medical Devices (29% – surgery, orthopedics, cardiovascular disease & specialty) and Consumer (10% – baby and beauty, health and healing products). Some of its top selling and well-known brands include Neutrogena, Aveeno, Listerine, Tylenol, Motrin, and Zyrtec. Being in business for more than 130 years, Johnson & Johnson has built a vast distribution network, product portfolio and a huge customer base. It manufactures and owns a large portfolio of healthcare and wellness products. JNJ is a popular household name touching the lives of over a billion people every day, throughout the world. The company offers the world’s largest range of consumer healthcare products and a comprehensive portfolio of surgical technology and specialty solutions. It is a global leader in seven consumer categories and owns a strong portfolio of iconic brands. Three of its brands – Johnsons, Neutrogena and Listerine are valued at more than $1 billion. Johnson & Johnson has a strong R&D base spending almost 13% of its sales on R&D each year. The company ranks amongst the top five US companies for R&D investment. Extensive research has helped J&J to deliver new and innovative products worldwide. Johnson & Johnson is one of the most reputed healthcare organizations in the world and has developed a deep understanding of its customers’ needs with more than a century’s old experience. The company has become synonymous with health and baby care products. Consumers are reluctant to switch their healthcare brand unless absolutely necessary. This results in highly sticky customer relationships for the company. Over the years, Johnson & Johnson has developed strong alliances with strategic partners and reputed medical companies which have helped it develop a number of well-known products across various medical fields such as immunology, neuroscience, oncology, pulmonary hypertension, and consumer segment. The company enters into strategic deals and partnerships from time to time, including 74 innovation deals and 29 new development deals so far. Johnson & Johnson’s acquisition of Actelion back in 2017 expanded its portfolio in the pulmonary arterial hypertension disease area. 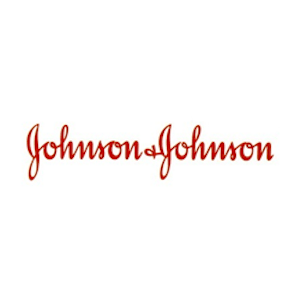 With more than a century’s experience, Johnson & Johnson has become a leading global name in providing human health and well-being products and services. Johnson & Johnson is a Dividend King with a long and solid track record of paying and increasing dividends. The company last raised its dividends for the 56th consecutive year in 2018. It has grown its dividends at more than 7% CAGR over the last decade and currently sports a dividend yield of 2.6%. The company last announced a 7%+ increase in its payout and should continue the same dividend growth rate. Though its payout ratio is a bit high at over 60%, regular cash flow from lucrative products adds enough visibility to future payouts. The company has returned nearly 50% of its 10-year free cash flow to shareholders. Johnson & Johnson has demonstrated its financial strength with 35 consecutive years of earnings growth. Some of its products in consumer, pharmaceutical and medical devices segments have achieved multibagger returns over the years. A few of these successful products are Remicade, Zytiga, Velcade, Prezista, Imbruvica, etc. The healthcare industry is subject to stringent regulations which act as a huge entry barrier for new players. A trusted brand name, diversified businesses, extensive global distribution network, and a growing customer base are the company’s key competitive strengths. It takes a significant amount of time and investment to build a strong brand recall as Johnson & Johnson has established today. The company is in a good position to benefit from growing consumerism, innovations in the healthcare industry and aging of the global population. Large scale and a huge global distribution network are huge enablers for J&J’s business. The company also has a share repurchase program and it announced a $5 billion repurchase plan during the last quarter. Johnson & Johnson faces intense competition from leading consumer and pharmaceutical companies both locally and globally. Some of the leading industry names are Abbott Laboratories NYSE:ABT, Pfizer Inc. NYSE:PFE, Roche Inc., Novartis, Merck & Co. NYSE:MRK, AbbVie NYSE:ABBV, AstraZeneca, etc. In addition, the company also faces immense competition from companies manufacturing biosimilar products and offering increased rebates and discounts on products. Johnson & Johnson’s constant efforts towards achieving continued growth of current portfolio, developing near-term product pipeline and investing for long-term growth makes it a distinct player in the industry. J&J’s long operating history, a huge portfolio of successful products and strong R&D activities have made it a popular consumer and medical brand. It is the eighth largest company by absolute R&D investment globally and has derived nearly 25% of its sales from products launched in the last five years. The company has a strong product portfolio as well as a large pipeline which is expected to convert into revenue in the future. What to make of the talcum-powder-based products legal proceedings? Considering the business model J&J is in, it should not be a surprise that Johnson & Johnson has a legal department and funds to deal with legal actions. According to Bloomberg, J&J spends $1.3B in legal proceedings annually. From a stock price perspective, there has been movement but unless the magnitude of legal actions changes for the worst, the company should get through it. J&J represents a core holding for stability in any economies while providing some growth and a solid dividend. It’s not going to be your portfolio superstar and it won’t be your dud holding either. I prefer J&J to holding Coca-Cola or McDonald’s for example.